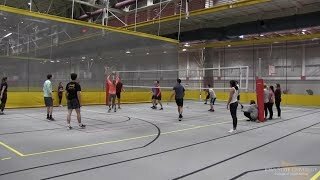 Iowa State’s Department of Electrical and Computer Engineering is celebrating Black History Month with a series highlighting alumni, faculty and students. Click here for more Black History Month coverage. Growing up on a small farm in Maryland, Iowa State University Electrical and Computer Engineering (ECpE) Associate Professor Phillip Jones felt at home when he first came to Ames in 2008. But one specific experience stood out upon his arrival. 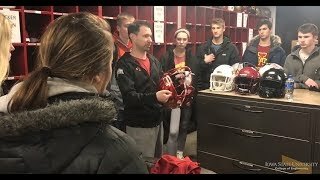 That conversation has stuck with Jones over the ten years he’s been at ISU. Though Jones grew up in Maryland, he attended school at the University of Illinois at Urbana-Champaign and Washington University in St. Louis, Missouri, so he has been in the Midwest for a while. “Overall, I have been pretty fortunate in being in an environment that’s always been fairly supportive of me,” he said. This support started at home, when at a young age, Jones enjoyed helping others, especially at school — something his mother noticed. Later, as an undergraduate and graduate student, he received the Intel Minority Scholarship and the Graduate Engineering Minority Fellowship, opportunities he believes are important for today’s students. While Jones’ father did not pursue higher education, he taught his son trades that pushed him toward his career. “My dad was a farmer and a mechanic and a welder, so I got a lot of hands-on experience dealing with engines and stuff. So while it wasn’t high-end math, it was still a lot of hands-on practical stuff that kind of brought me to the way I approach engineering,” Jones said. With that backing from his family, Jones started his undergraduate career at the University of Illinois and began hearing that one in three students were valedictorians at their high schools, which he said was overwhelming. Because of his experiences and this belief, as a professor today, Jones gives back to student groups at Iowa State. Jones has been the faculty adviser for Digital Women for six years. 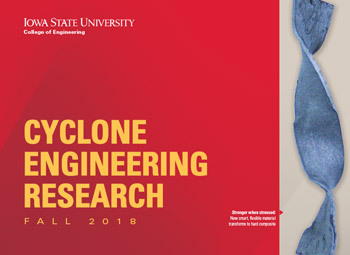 Women represent another minority group in STEM — Science, Technology, Engineering and Math — fields, and Digital Women formed as an Iowa State student organization to encourage and support women in majors like electrical and computer engineering and computer science. 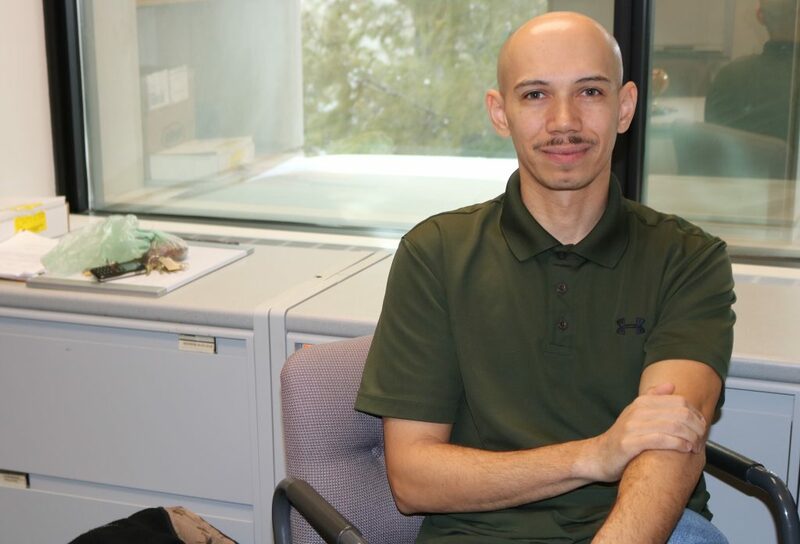 As he learned more about experiences of different minorities in STEM, and because he is a minority himself, Jones cares deeply about modeling inclusion in his classroom and making his students feel welcome. He credits ECpE University Professor Diane Rover, who was the first woman to earn a Ph.D. in computer engineering at Iowa State, with helping him bring inclusion to his courses in new ways. Jones works with Rover on the Reinventing the Instructional and Departmental Enterprise (RIDE) project, which is funded by the National Science Foundation and is focused on creating a new collaborative instructional model for course design to develop the next generation of ECpE engineers. “With the RIDE program, we’re trying to hammer home professional formation skills, and I think inclusion is one of those types of skills. We tried to see who on campus has done a good job of that, and we got some feedback from some of the women representation from the student body saying that they had classes in ABE [Iowa State’s Department of Agricultural and Biosystems Engineering], and there were some women professors who on the first day of class went through their syllabus and were really explicit about pointing out what it meant to be inclusive,” Jones said. He then implemented lessons from the ABE department in his courses; he also changed the way he organizes student group work. His embedded systems course is required to complete a final project at the end of the semester, normally done in groups of four students. These groups are made by combining pairs of two lab partners into one group. In the past, he has allowed teams of lab partners to choose who they will work with to make their final group of four; last semester, however, Jones attempted something else. The new arrangement wasn’t without its difficulties, though Jones saw success at the end. One reason Jones believes in inclusion and diversity is because of his own role as a minority in engineering. He once attended a conference in Washington D.C. and heard a talk from a computer scientist, who shared some statistics on African-American students who graduated with a Ph.D. in computer science. The speaker referenced a number from the year 2008, the year Jones received his Ph.D., when fewer than 13 African-American students received a doctorate degree in computer science. That number meant that the year Jones graduated, he was one of just a small number of computer science doctoral students of African-American background in the entire nation. Now, as a professor, Jones is aware of these numbers and how critical it is to welcome diversity into schools. For Jones, diversity aside, his love of teaching keeps him accountable.